London, Cadell & Davies, 1811. 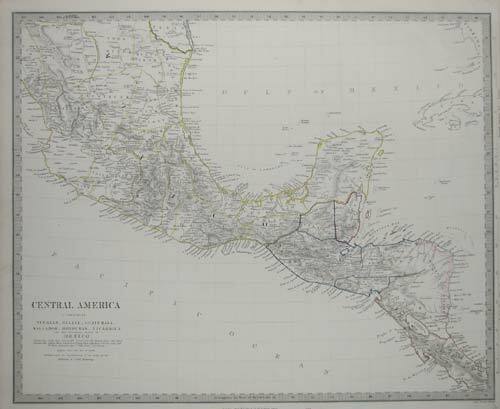 Map from Guatemala south to Panama. London: London Printing and Publishing Company, 1861. 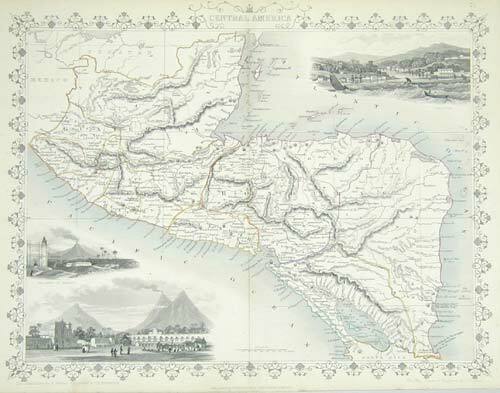 Map of Central America from Guatemala to Nicaragua, with engraved vignette scenes. Amsterdam, 1600. 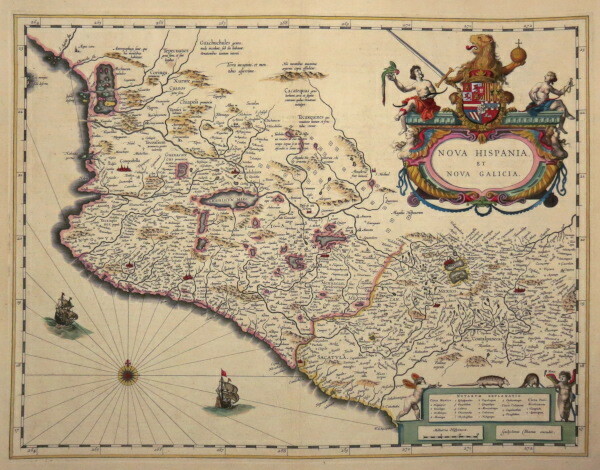 Mexico, with the whole of the Gulf coast and the tip of Baia California. From Bertius' 'Tabularum Geographicarum Contractarum'. London, Samuel Purchas, 1635. 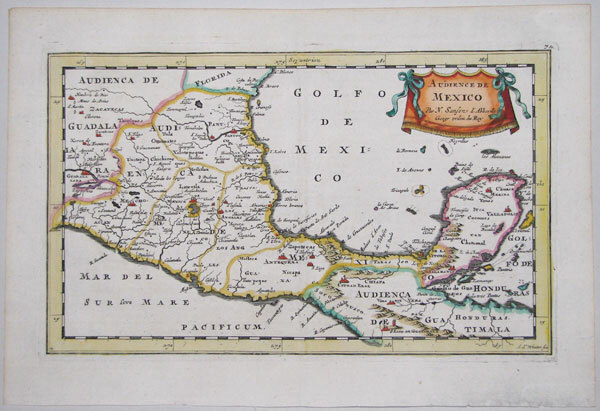 Hondius' map of western Mexico from the 'Atlas Minor', here issued in 'Purchas his Pilgrimes', with an English text. Amsterdam, Jan Jansson, 1636. Central Mexico, with Mexico City and Guadalajara. The title cartouche is more ornate than usual for Jansson, and two armadillos stand on the key. From the first year of issue. 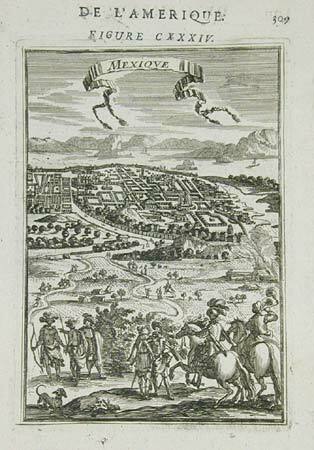 Amsterdam, 1642, French edition. 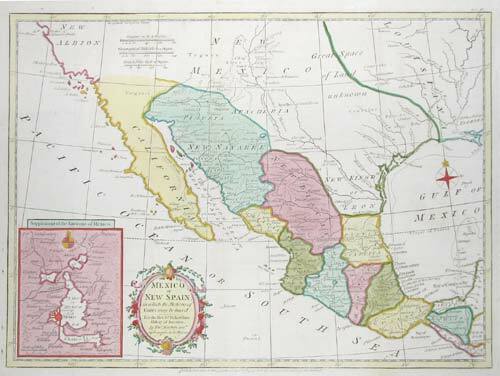 A superb example of this map of south west Mexico, with Mexico City. Paris, c.1692. 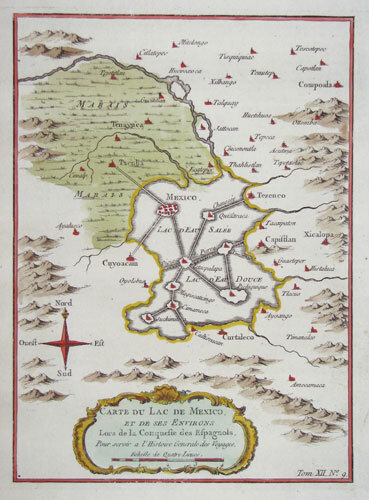 Map of the environs of Mexico City, with the Yucatan and Belize. 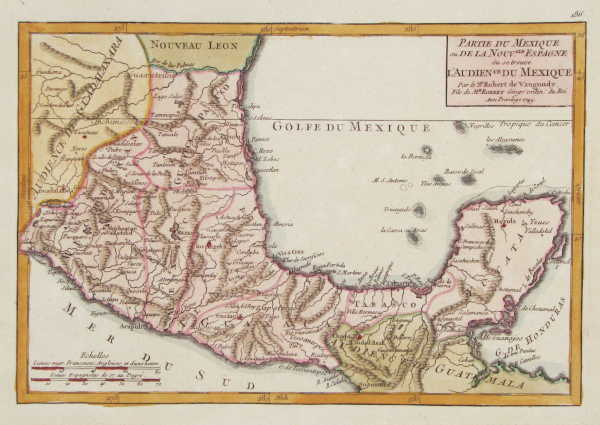 Engraved by A. de Winter for the quarto edition of Sanson's atlas. Paris, 1749. 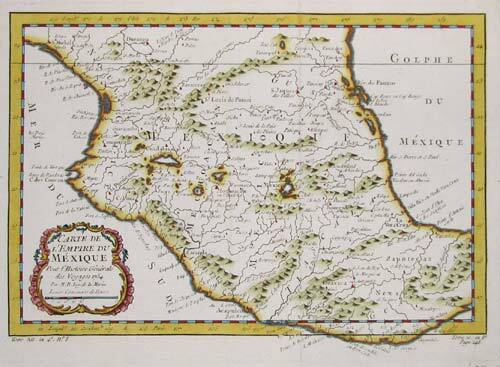 18th century map of southern Mexico, with Mexico City and Yucatan. Paris, c.1754. Central Mexico, with Mexico City. London, c.1795. Published in Rev. Dr. Robertson's 'History of America'. London, Kelly, 1842. 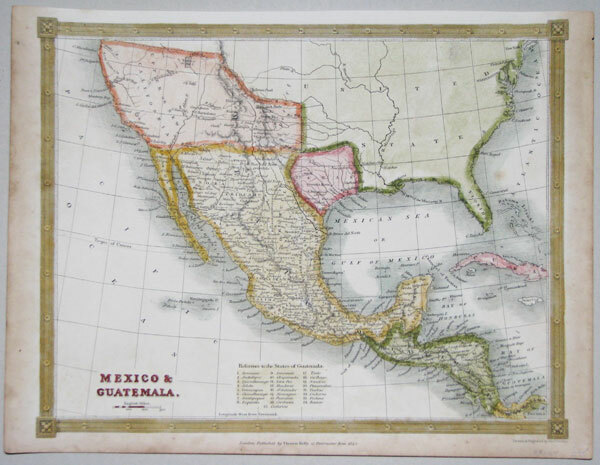 Mexico and Guatemala, also showing the Republic of Texas and California. Paris, Basset, 1843. Mexico, with Texas marked as a republic. 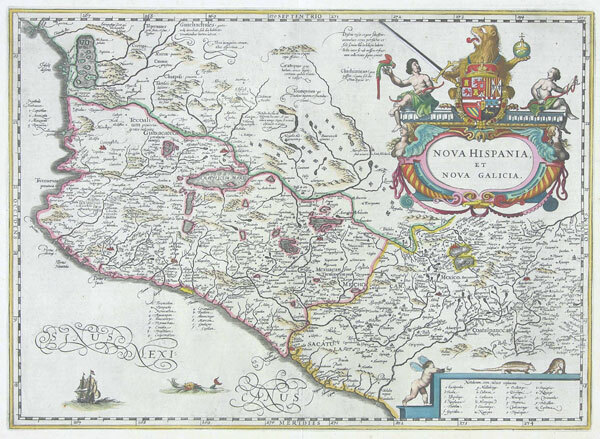 An inset shows Guatemala. Paris, c.1760. The environs of Mexico City. Paris, c.1760. The environs of Ciudad. del Carmen in Campeche. Amsterdam, Jodocus Hondius, 1616, First edition. The Yucatan, Belize, Guatemala & Honduras. Hondius engraved new plates for his edition of the Bertius atlas 'Tabularum Geographicarum Contractarum', which he sold alongside the Mercator 'Atlas Minor'. Amsterdam: van der AA, 1706. 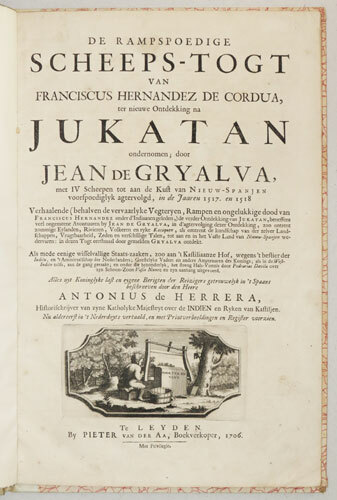 An account of Francisco Hernández de Córdoba's expedition from the Spanish colony in Cuba in search of new lands to conquer, taken from Antonio de Herrera y Tordesillas's history, He discovered the 'Island' of Yucatan and Campeche in Mexico, capturing two Mayans who were to become the first interpreters in that language for the Spanish. 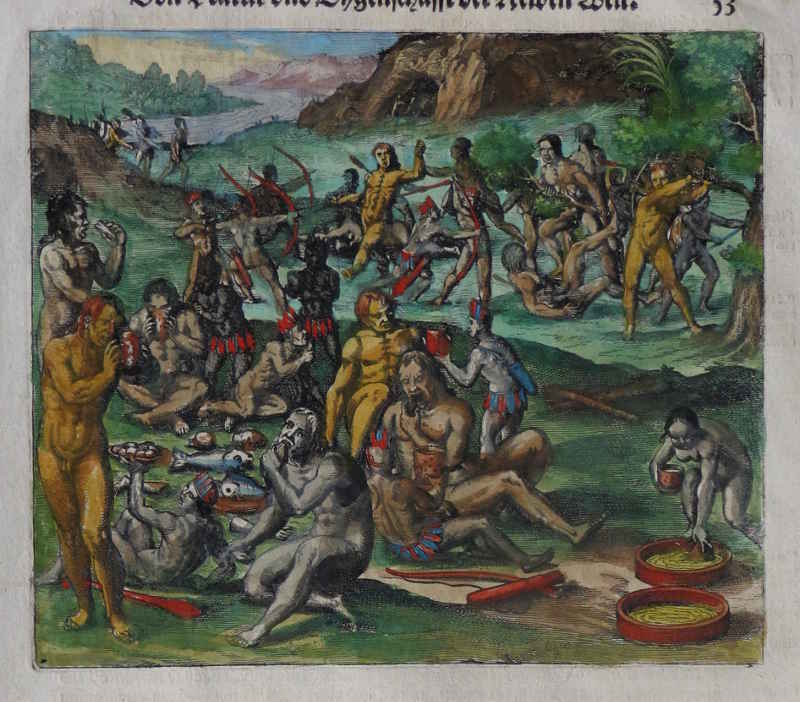 However the reception given by the other natives was not friendly: in one incident Francisco Hernández de Córdoba was hit by ten arrows. Desperate for fresh water the expedition decided to turn for home, sailing via Florida where they did find supplies. Hernández de Córdoba died from his injuries shortly after they reached Cuba. 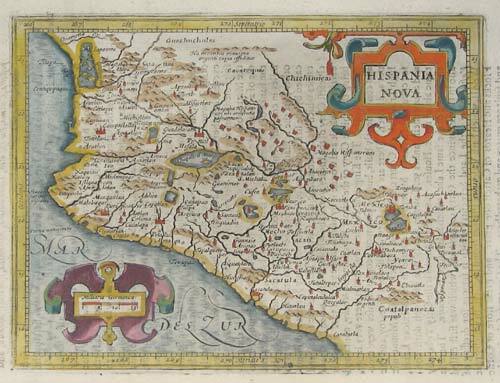 A second expedition was send under Juan de Grijalva, as recorded here; a third expedition, 1519, was led by Hernando Cortez and resulted in the Spanish conquest of Mexico. Chart of the harbour of Portobello, Panama. Amsterdam, Covens & Mortier, c.1737. 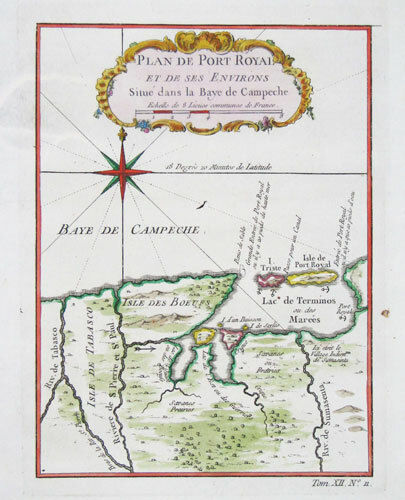 A plan of Portobelo in Panama, from a Dutch map copying the harbours from Popple's important map of North America. 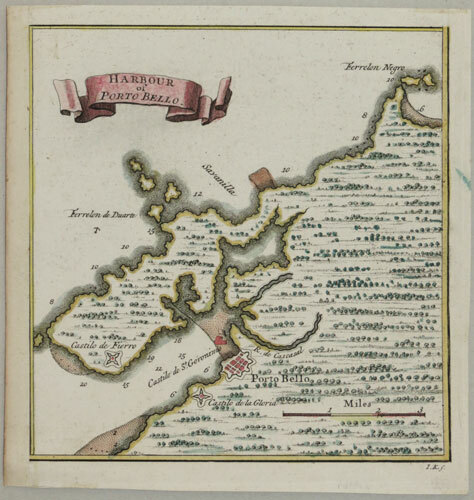 In 1739, soon after the map was published, the town was captured by the British commanded by Admiral Edward Vernon, during the 'War of Jenkins' Ear'.